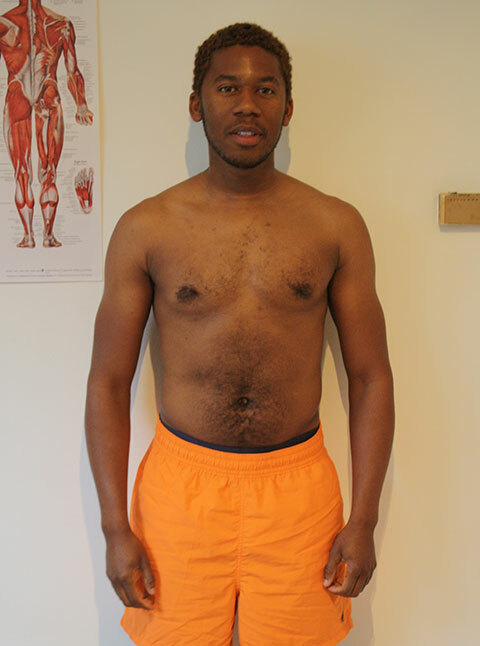 Clint started training with Rolandas’PT4U at 78 kg (171.6 lbs; 11.8 stones), 84 cm (33 inches) waist and 23% body fat. Clint has gained weight to 83 kg (182.6 lbs; 12.6 stones) while cutting waist size to 73 cm (28.7 inches) and body fat to 12%. 11% of body fat dropped translates into 9 kg of fat lost. The gross weight is increased by 5 kg. 9 kg of fat replaced with muscle and the 5 extra kilograms of lean muscle gained equals to 14 kg of total muscle gain.